This tall floor standing bath mixer tap with shower attachment is designed with a monobloc mixer cartridge for easy mixing of hot and cold water. 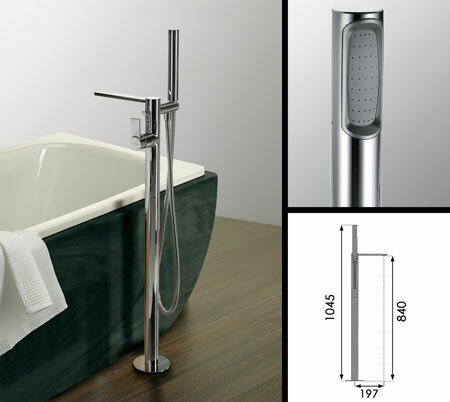 The Loft freestanding bath filler mixer tap is part of a full collection of bathroom fittings. Each mixer tap is supplied with an anti limescale aerators for long life operation.